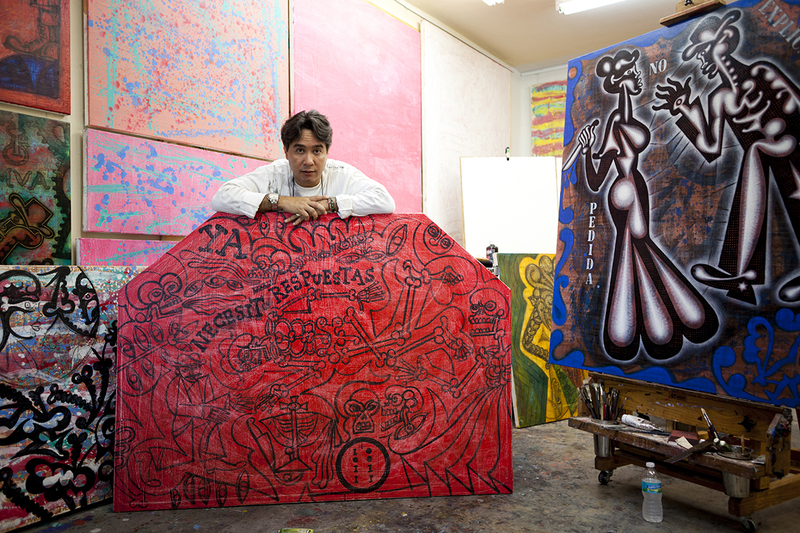 Enraptured Visions: A Conversation with Carlos Luna | Jill Thayer, Ph.D.
December 12, 2014 · by Jill Thayer, Ph.D.
Carlos Luna at his studio in Miami. Photo by Ignacio Barrios, 2013. 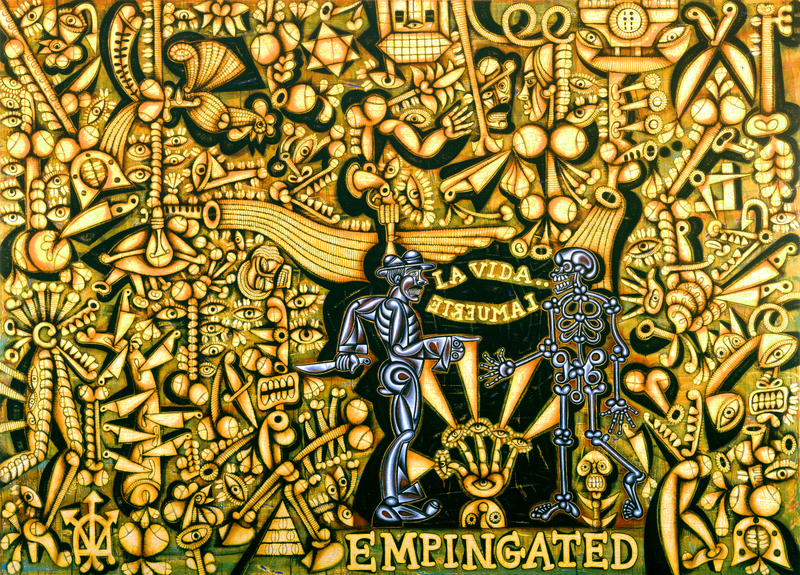 Carlos Luna is an artist and storyteller whose emblematic themes engage fables and mysticisms, eroticisms and prejudices, religiosity, anthropology, and the socio-political contexts of life. 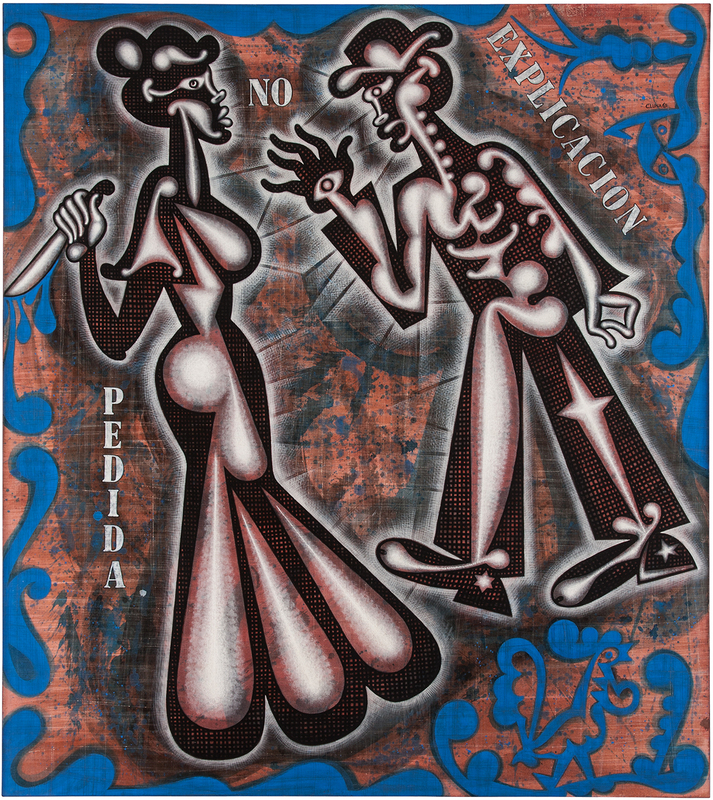 His semiotic narratives depict not only his rich Latin American heritage, but also his take on the contemporary currents of culture. Luna’s education includes: Visual Arts College (Instituto Superior de Arte), Havana; National School of the Arts (Escuela Nacional de Artes Plasticas, ENAP), Havana; Academia de San Alejandro, Havana; and School of Visual Arts (Escuela Provincial de Artes Plasticas), Pinar del Río, Cuba. 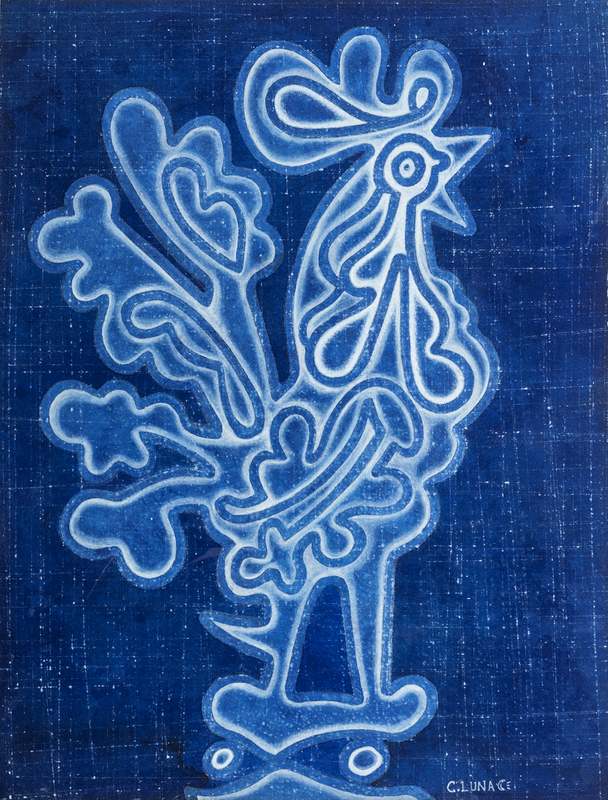 His work has been exhibited at Complejo Cultural Universitario BUAP, Puebla, México; Miramar Cultural Center – Artspark, Miramar, FL; Museum of Art | Fort Lauderdale, Fort Lauderdale, FL; American University Museum at the Katzen Arts Center, Washington, D.C.; and Museum of Latin American Art – Molaa, Long Beach, CA. Luna is represented by Heather James Fine Art, Palm Desert, CA. He resides in Miami with his wife and three children. I spoke with the artist in an online interview from his studio to talk about his work, his cultural heritage, and the traditions he embraces today. His wife Claudia Luna, Director of Operations, Representative of the Artist, and Founder of Carlos Luna, Inc. translated our conversation. 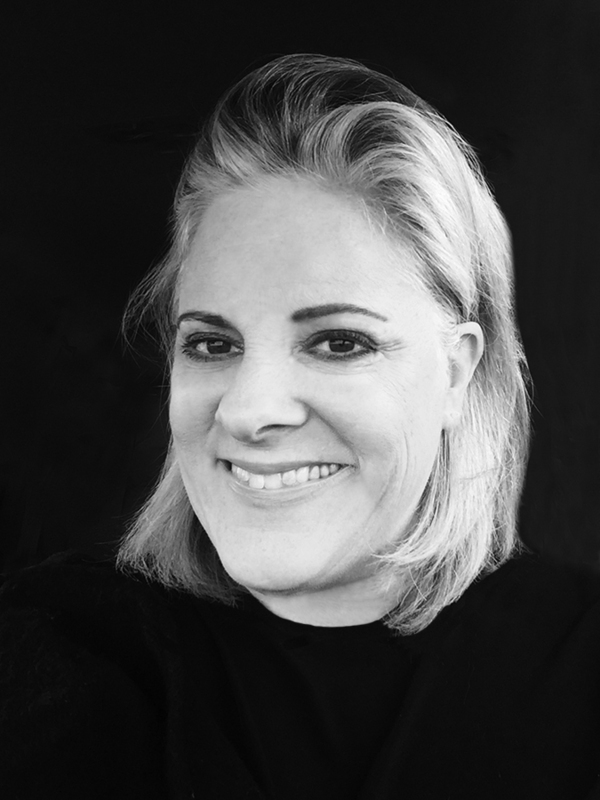 JILL THAYER: Carlos, I understand that as a Cuban-American artist, you work in multidisciplinary genres as a painter, draftsman, sculptor, and ceramicist. What childhood experiences led you to your chosen career as an artist? CARLOS LUNA: My father improvised singing. My grandmother had a collection of religious images, she liked beauty and details––a table well set, embroidered tablecloths and sofas, even her own clothing. Those little details influenced or inspired me. Any medium offers a possibility to create something. It is there that I find my own language, as I need to understand the process to be able to express myself. I have always thought that a man without a past is a man without a future. The past is my starting point, a reference from which to learn. I always had a need to express myself. I didn’t know that I was going to be an artist, but I used to draw constantly. I loved cartoons because they told stories and served as a guide for me to tell my own stories. JT: How did your academic experiences in the visual arts inform your path as a professional artist? CL: I had the fortune of having great teachers that taught me valuable things, but I strive to learn beyond what was taught. Today, I realize that my creative process is an every day learning experience. I chose to be a happy man. It doesn’t mean that I don’t have sad moments, but I choose to smile. I create a propitious space that enriches my work each day––a major motivation is happiness. My life in Cuba was a training period for me. Cuba is an island surrounded by water and while my peers were focused on looking outside the island, I took time to look within to my heritage––in its complexity and richness. Understanding the essence of where I came from allowed me the enrichment of new experiences. México was an ideal place to reinvent myself. México was not only enriching, it redefined me as a creative person and a man. That’s where I married this beautiful lady, Claudia and created my own family. It’s how I see the future. JT: In 1991, you left Cuba for México. What led to that transition? CL: I chose to be free. Every man is born free but not everyone chooses to live free and independent. Cuba has not been a free country for the last 55 years so I chose to leave. JT: Are there any artists or figures in Latin American culture that influence your work? 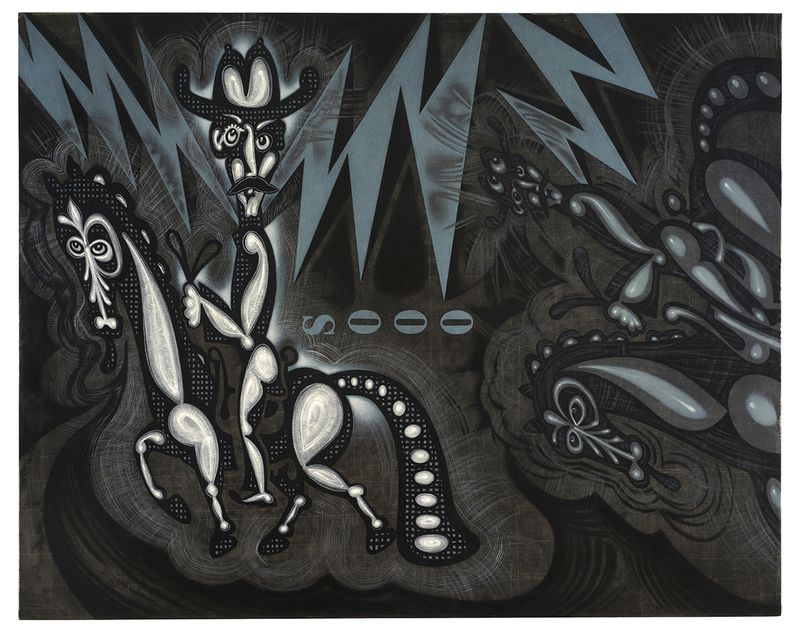 CL: Rufino Tamayo is at the top of the list with Cuban artist Wifredo Lam. Also Jose Guadalupe Posada who is a storyteller with a vital testimony. Martin Ramirez is considered an outsider, but in my point of view, he’s one of the most important artists from Latin America. Different artists have inspired me in different moments of my life. I am basically a storyteller in the content of everyday life. I can say that there are strong political statements in my work, but it’s not the only theme that I work with. I may talk about my wife, my children, the beautiful light that is outside. I may also talk about my point of view regarding political situations. There is a difference in my work from the Muralists. They chose to use political themes solely in their work. I’m closer to Tamayo in my approach. Tamayo spoke about a social situation, but he also spoke about the light, his humanity, and everything that he was surrounded by. JT: What is the relationship of your work to the vacui of Latin American Baroque? CL: I love to fill the space. I am not terrified by emptiness or space. It just makes me happy to fill it when I think it is necessary. Latin American Baroque is like a festival. The people that work in the construction of the churches were not that interested in the concept of Baroque, as it is. They did something that was natural for them by filling the spaces with their own interpretation. Latin America’s richness is evident in any movement. JT: Your work is exhibited in museums and galleries in the United States and Latin America. Do you find any regional differences in how it is perceived? CL: Every place has its own characteristics and reflects our human condition. I am enriched by each one of them. I cannot control how people react to my work in every context, but I’m openly willing to share and enjoy it with them. Our human condition is a universal language and it is the starting point of my work. JT: Yes. Art translates languages and cultural barriers. I see this in your work. CL: In an exhibition of Latin America in Italy, the director of the museum commented on its reception to viewers. He said, “It’s very simple, they don’t have to speak Spanish. It’s not important that you can speak Italian, but your work speaks to the human condition.” And I still marvel at this idea. JT: Do you have a belief system that informs your life or work? CL: I’m a very simple man. I believe in God, I have a strong faith, it guides me, there’s nothing against me. I respect God‘s love. My freedom ends where other peoples’ freedom begins and I have learned to live in that harmony. It’s simple for me. CL: I am preparing for a large travelling museum exhibition that will open in June of next year. It will start here in Miami at The Frost Art Museum, and hopefully, will travel to México and return to the United States. JT: Thank you Carlos, continued success in your contributions to the culture. Carlos Luna lives and works in Miami, Florida. For more on the artist’s work, visit: www.carlosluna.com. This entry was posted in Art History, Artist Emergence, Artist Profiles, Exhibition Theory, Professional Practice, Visual Culture and tagged Art, Artist Emergence, Artist Interviews, Artist Profiles, Artvoices Magazine, Carlos Luna, Contemporary Art, Culture, Jill Thayer Ph.D.. Bookmark the permalink.